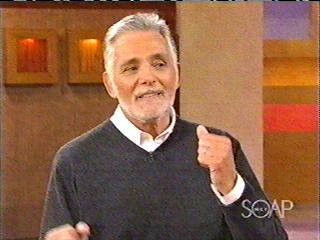 CBS Behind the Scenes SectionLink to first CBS interview with David Hedison. 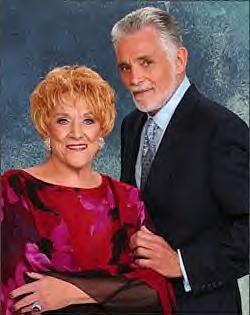 Behind the Scenes Section Jeanne Cooper's 30th year anniversary interview about David Hedison with great picture. 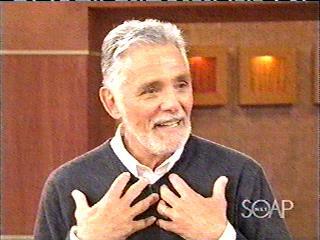 Voyage To the Bottom of the Sea Reunion at the Chiller Theatre convention April 23-25, 2004! 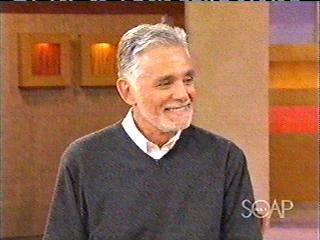 David (below)appeared as a guest on Soap.Net on 23 Mar.2004. It was a delightful interview, where David revealed his daughter saying he wasn't just dedicated to his craft, but posessed! "No European or other international requests for signed photos or index cards will be done by me after April 2012 without the correct amount of return US postage (No IRCS - no foreign stamps). If you want a reply from me, it costs two US dollars for a first class envelope and five dollars for a first class 8 by 10 to be mailed abroad. No return postage - no reply. IF you don't have access to American stamps or currency - send an email to Dkachmar@aol.com Diane will help complete your request via PayPal and will provide me with the correct US postage for your request to be answered. I am sorry to have to have to do this, but I have been receiving way too many requests for multiple pictures from overseas with no return postage. 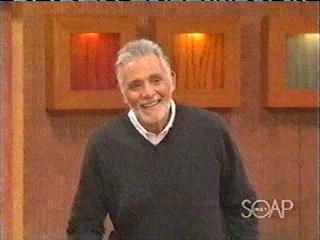 I will still answer US fan mail if you send me an addressed stamped envelope. If you request an 8 by 10 photo send me two stamps. Love, David"
The first we see of 'Arthur Hendricks'as he comes to town. But his stay is all too brief. 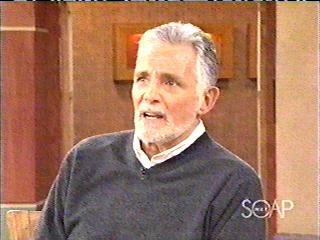 Click here to visit Genoa City and see what happened during his stay.